Dennis Tenen’s research happens at the intersection of people, texts, and technology. 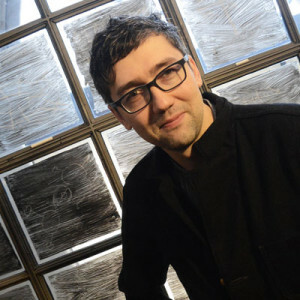 His recent work appeared on the pages of Computational Culture, boundary 2, and Modernism/modernity on topics that range from book piracy, to algorithmic composition, unintelligent design, and the history of data visualization. He teaches a variety of classes in fields of digital humanities and new media studies. 1. Theory and method, concerned with rapid prototyping of speculative thought. 2. Public discourse, with projects exploring the changing material contexts of knowledge production (reading, writing, authorship, censorship, discussion, deliberation, storytelling, publishing, and dissemination). 3. Minimal computing, concerned with questions of global access, digital literacy, transparent and non-propitiatory data formats, privacy, counter-surveillance, and decentralized information architectures. A former software engineer at Microsoft and currently a faculty associate at the Berkman Center for Internet and Society at Harvard, Tenen is working to complete his first book manuscript on Plain Text. Read more about his work at denten.plaintext.io.